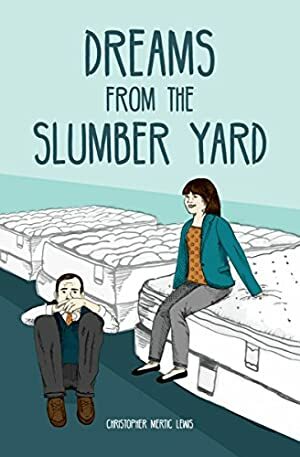 Richard Blake runs The Slumber Yard, a struggling mattress store in small town strip mall. A bitter, misanthropic recluse with no friends or family to speak of, Richard whiles away his boring, monotonous life by tormenting customers and producing a series of low budget TV commercials. Determined to make a change and find meaning in his life, Richard meets a beautiful young woman named Kathy. He quickly falls in love, but after a lifetime alone, Richard doesn't know how to reconcile his own anger and self-loathing with his newfound affection for another person. At times dark and funny, sweet and unsettling, Richard's story is one of love, selfishness, fame, humiliation, and the kind of excitement that can only be found in reasonably priced furniture. Log In to track Christopher Mertic Lewis on eReaderIQ. to be notified each time the price drops on any book by Christopher Mertic Lewis. to stop tracking Christopher Mertic Lewis. We started tracking this book on April 2, 2016. The price of this book has changed 110 times in the past 1,114 days. The current price of this book is FREE last checked 5 minutes ago. This book has been FREE 56 times since we started tracking it. The highest price to date was $0.99 last reached on April 7, 2019. This book has been $0.99 55 times since we started tracking it. We last verified the price of this book about 5 minutes ago. At that time, the price was $0.00. This price is subject to change. The price displayed on the Amazon.com website at the time of purchase is the price you will pay for this book. Please confirm the price before making any purchases.